LONDON (Reuters) - Oil jumped by more than $2 on Tuesday then pared gains with Brent crude above $116 a barrel, as the dollar weakened on improved prospects for a bailout for heavily indebted Greece and U.S. confidence data disappointed. Brent crude futures were up $1.60 to $116.28 a barrel at 1408 GMT, after pushing to an intraday high of $117 in choppy trading when U.S. home sales data for March entered double-dip territory and the dollar weakened. 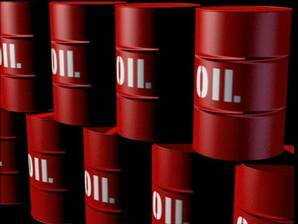 U.S. crude was up $1.95 a barrel to $102.54, after reaching a high of $103.39. Both contracts pared gains after U.S. May consumer confidence data disappointed and business activity in the Midwest grew by less than expected in May. But the weaker dollar helped put a floor under oil prices, analysts said. The dollar .DXY was down 0.57 percent against a basket of currencies at 1411 GMT. A weaker dollar makes oil cheaper for those holding other currencies. Roy Jordan, research associate at Facts Global Energy, said the dollar was being weighed down by the relatively weak economic data that has come out over the last few days. "There has been an inverse correlation between oil and the dollar over the past month," added Thorbjorn Bak Jensen, oil analyst at Global Risk Management. U.S. crude has also gained support from the temporary closure of the 591,000-barrel-a-day Keystone pipeline, which carries oil from Alberta to U.S. oil hub Cushing. "While the shutdown was implemented around midnight following a leak, it is still unclear when operations will be resumed," said analysts at JBC Energy in a note. "In case of a longer disruption, we might see a noticeable crude stockdraw in Cushing in next week's US inventory reports." Brent is similarly being supported by production problems in the North Sea which are disrupting the Forties program. Bak Jensen also pointed to Germany's decision to cease producing electricity from nuclear power plants by 2023. "Over 20 percent of their electricity comes from nuclear power at the moment so this will give support to coal and oil as well as alternative energy," he said. Despite the rally as traders in London and New York returned to their desks after a long weekend, both oil contracts are still down for the month of May. Brent is down about 8.7 percent and U.S. crude is down about 10.8 percent following a broad commodities sell-off at the start of the month. The market's focus is now turning to the upcoming OPEC meeting in Vienna in June. Analysts JBC Energy believe an increase in output allocations of 2-2.5 million barrels per day would be justified given the current fundamental situation. "Nevertheless, the outcome of the meeting will once again depend strongly on OPEC kingpin Saudi Arabia's stance on the issue, with the Middle Eastern country holding some three quarters of the group's idle capacity," they said in a note. Oil was supported by the end of a truce between tribal groups and forces loyal to Yemen's President Ali Abdullah Saleh, which brings the country closer to civil war. "It's providing continued support to oil prices and protection to the downside," Carsten Fritsch, an analyst at Commerzbank said. Yemen's Saleh has refused to step down despite efforts by regional nations to broker a departure amid widespread protests, causing concern that unrest may spill into neighboring states. "Yemen is regarded as a center of the al Qaeda terror network and directly borders with Saudi Arabia, the world's largest oil producer," said Commerzbank analysts. "Consequently, there is a high risk of unrest destabilizing the entire region." South African President Jacob Zuma made little headway toward brokering a Libya peace deal in talks on Monday with Gaddafi, who is adamant he will not leave Libya.